New Product Launch Information - Oriflame Beauty Gloss Booster - Glitter & Gorgeous!! 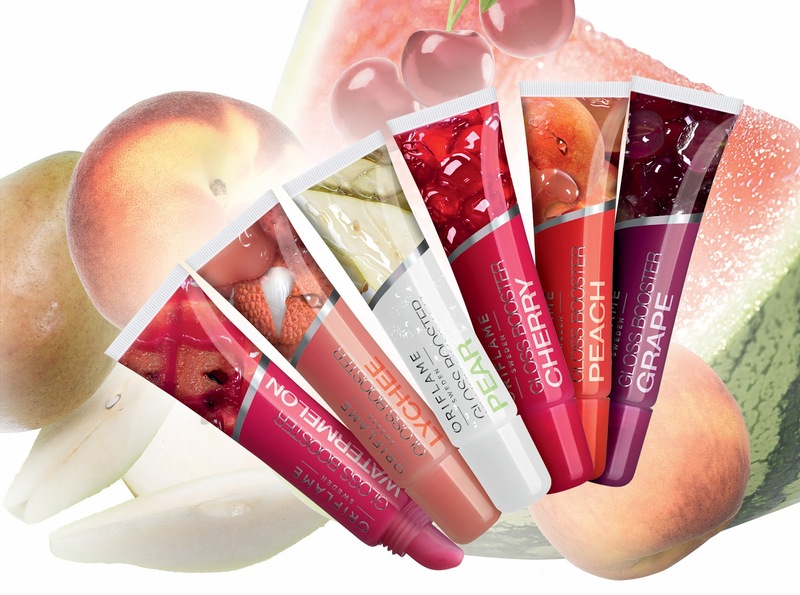 This summer, flaunt ultra sheen lush lips as Oriflame, the natural Swedish cosmetics major, presents its fresh collection of fruity lip glosses under Oriflame Beauty Gloss Booster. Infused with shimmer boosters, Oriflame Beauty Gloss Boosteris a combination of fresh colors and glossy textures for ultra shiny lips. Its non-sticky formula glides smoothly on lips and funky colour stays longer. The new Gloss Booster offers six bright and fruity shades – Pear, Lychee, Peach, Watermelon, Cherry and Grape that burst with mouthwatering flavor. The one stroke application visibly reduces fine lines and makes lips look fuller, stylish and healthier. This semi-sheer liquid lip gloss with high accuracy brush applicator is fun to wear and ultra-portable. Oriflame is an international cosmetics company selling direct, with sales in 62 countries. Oriflame offers a complete range of high quality skincare, personal and hair care, fragrances, colour cosmetics and accessories marketed through a sales force of over 3.8 million independent Sales Consultants worldwide. Although the company has grown rapidly it never lost sight of its original business concept- Natural Swedish Cosmetics, sold from friend to friend. Oriflame is a co-founder of World Childhood Foundation. Oriflame Cosmetics is listed on the Nordic Stock Exchange. Oriflame products are made of natural ingredients & extracts and are guaranteed to be pure. They are manufactured in a modern equipped factory under strict quality and environmentally controlled conditions and are safe & effective even for the most delicate skin. Oriflame products are not tested on animals. Oriflame products are available through Oriflame consultants. Winner Announcement – “Tell us the price and win a prize” – A Craftsvilla Contest!